There’s a chill in the air, the days are noticeably shorter, the trees are nearly bare, and tantalizing aromas of simmering soups and stews escape kitchen windows cracked open. And brisk morning or evening walks sometimes call for – gasp – scarves and gloves! It’s happening. The Change of Seasons. Are you ready for it? There’s so much to love about October! There’s Thanksgiving – a welcome start to the rounds of holiday merry-making. We gather with family and friends and heaps of food, like turkey, ham, roasts and all the sides. We take a moment to express our gratitude for lives will-lived…and food and drink well-shared. And of course, October goes out on a high note for all kids, big and small – Hallowe’en! Goblins and witches and black cats abound! Candies and pumpkins and Boos! are all around. Fall also means a Homeworks Etc freebie printable! We want you to launch into October with a fun printable that welcomes the new season – Hello Fall! Use your creativity to make these words shine as a new addition of Fall décor in your home! How about a little toast to celebrate Fall? A pumpkin spice latte is just the hot elixir to warm the soul! 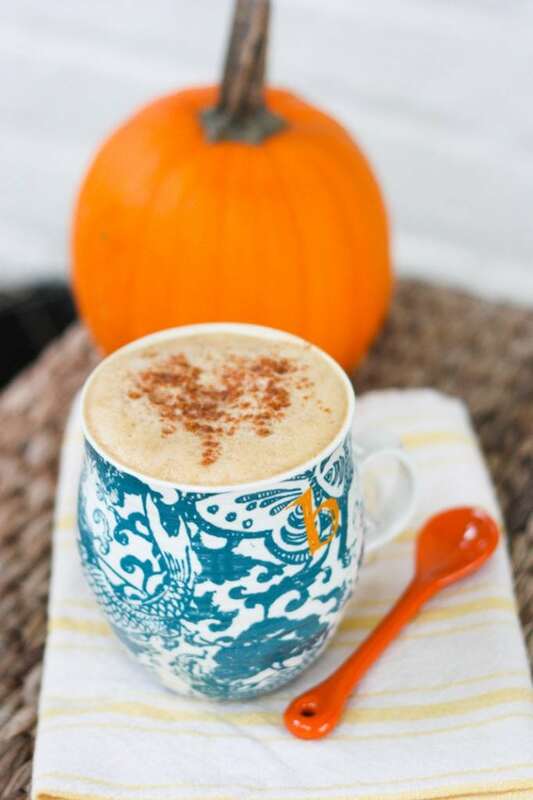 Try out this delicious, homemade and healthy version of the much-loved pumpkin spice latte. It’s way lower in calories than store-bought varieties, has little sugar, zero artificial flavourings, and offers up heart- and gut-healthy fiber. It is divine! In saucepan over medium heat, add milk and pumpkin puree, whisking to combine until comes to a simmer. Remove from heat and add pumpkin pie spice, vanilla and maple syrup (to taste). Place in blender or use hand-held frother to bring to a foamy consistency. Pour into a large mug of steaming, freshly-brewed coffee. Dust with cinnamon. Enjoy! Older PostSign Painting…and a Beer at Clayton Public House!